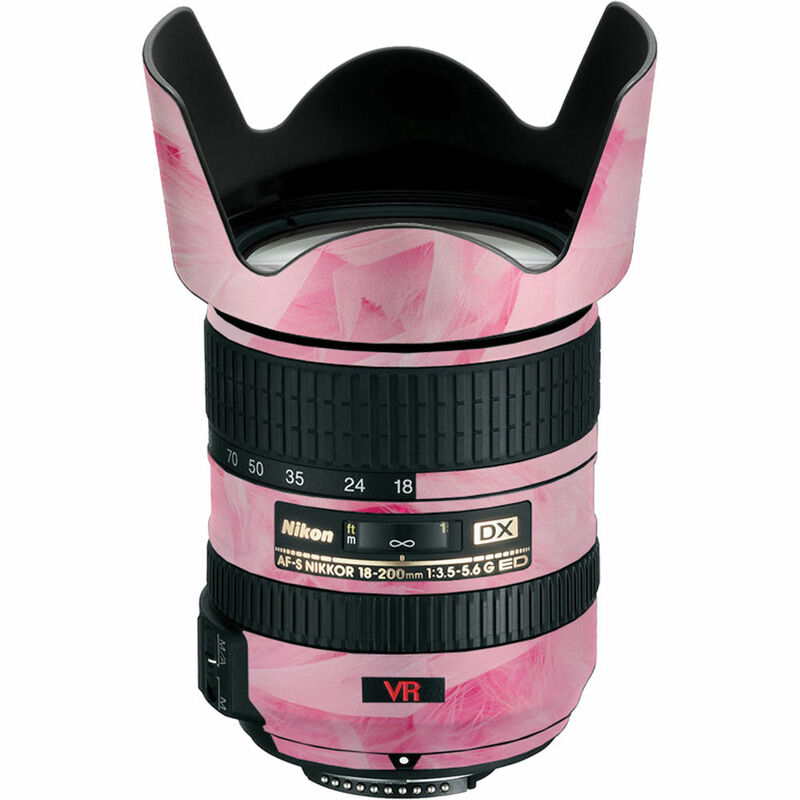 The tickled pink Lens Skin for the Nikon 18-200mm f/3.5-5.6G AF-S IF-ED DX VR Lens from Lens Skins provides your lens hood and lens barrel area around the distance scale with a super-thin (1mm) 3M UV vinyl coating that guards your lens against incidental scratches and bumps. It is custom-cut to match your lens hood and is easy to install and just as easy to remove. Once removed, no residue will remain. Nor will your lens suffer any damage to its finish, plastic pieces or moving parts. Once applied, which is generally accomplished within 10 minutes, you'll still maintain full access to all the functions, windows and buttons on your lens. The kit comes with two hood pieces, three body pieces, two front lens caps and rear lens cap. It is also available in various styles and designs to suit your taste and shooting style. Lens Skin for the Nikon 18-200mm f/3.5-5.6G AF-S IF-ED DX VR Lens (Tickled Pink) is rated 1.0 out of 5 by 2. Rated 1 out of 5 by Sun man from Poor Quality Material There was nothing great about this product other than I was able to remove it without a problem. This was very easy to apply, but the picture is much nicer than it looked. It also kept coming off the lens despite my applying it several times correctly. This is why I finally took it off the lens and threw it out. Rated 1 out of 5 by Ashley the Photographer from OVER PRICED STICKERS! This is not worth the price or time!